As an undergraduate studying biology, I knew I was in the right place when we got to animal behaviour experiments and the insights they gave about evolution and domestication. Pavlov’s drooling dogs, Skinner’s lever-tapping rats, Lorenz’s imprinted goslings … I lapped it up, drool and all. And no experiment has ever piqued my interest quite like an almost-forgotten study in the depths of Siberia during the Cold War, now the subject of a new book How to Tame a Fox (and Build a Dog): Visionary Scientists and a Siberian Tale of Jump-started Evolution. It’s a tale of dogs, domestication and research in a time where being a scientist was a dangerous game. Have you ever looked at a domestic dog and noticed its baby-like features? Shortened snouts, bulging foreheads, round floppy ears…and that’s not to count the number of them that are absolute sooks. While Darwin’s theory of natural selection also lent itself to an understanding of artificial selection via similar means – that is, selectively breeding from individuals with certain traits, leading to those desirable traits becoming more common – there was a question left unanswered: why do domestic animals tend to develop similar traits? Spots, for instance. Think of cows, dogs, horses, many of which can sport unnatural coloured spots and blotches well beyond what might be useful for camouflage in a natural environment. It suggests there’s something else going on in domestication, deeper than just animals becoming friendlier towards humans, and that’s what Russian scientist Dmitry Belyayev set out to find out. Belyayev started his grand experiment in 1959 beneath a cloud of secrecy; under Stalin’s anti-intellectualism regime, Russia had become a dangerous place to be a scientist, especially a geneticist. A risk Belyayev knew better than most: his brother, a geneticist with a growing reputation, was executed by the regime. As he established his career and his fox experiment, Belyayev was outspoken against ‘scientist’ Trofim Lysenko, who it turned out had falsified the research data that led to his prominent position among Stalin’s inner circle. And the experiment? Belyayev wanted to see if he could replicate the domestication of a canine species, this time at super speed, and in the process find out more about how domestication happened the first time around. Using his experience breeding silver foxes, a local variety of the common red fox Vulpes vulpes, he started a programme where the team selectively bred the friendliest, tamest foxes with each other and waited to see what would happen. 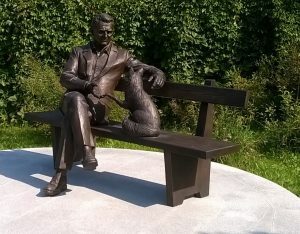 A statue of Dmitry Belyaev and a domesticated fox near his Siberian research centre. Sirozha/Wikimedia Commons. It’s hard to imagine how off-the-wall this experiment would have seemed at the time. A certain part of it seems innately understandable: if you breed from calm, tame dogs you’ll get calmer, tamer pups. But Belyayev was working at the same time that James Watson and Francis Crick were unveiling the structure of the double helix, E.O Wilson was reporting back on the behaviour of social insects like bees and ants, and Nikolaas Tinbergen, Karl von Frisch and Konrad Lorenz received the Nobel Prize in Physiology or Medicine for their work establishing the field of ethology, or animal behaviour. Belyayev was literally working at the cutting edge of animal behaviour and the evolution of domestication, and he was working from behind the Iron Curtain, struggling to get his research noticed by scientists outside of the Soviet Block. It’s also a lesson in how the creatures we share our homes and our farms with came to be. The puppy-like features of our house hounds, or our spotty cows, horses and cats (though anyone who co-habits with a cat knows its debatable whether we domesticated them or they domesticated us). I can’t think of a scientific experiment that deserves a book as much as Belyayev and his domesticated foxes, but that has waited for so long. How to Tame a Fox is a truly enjoyable and informative read and does great justice to this incredible tail tale. 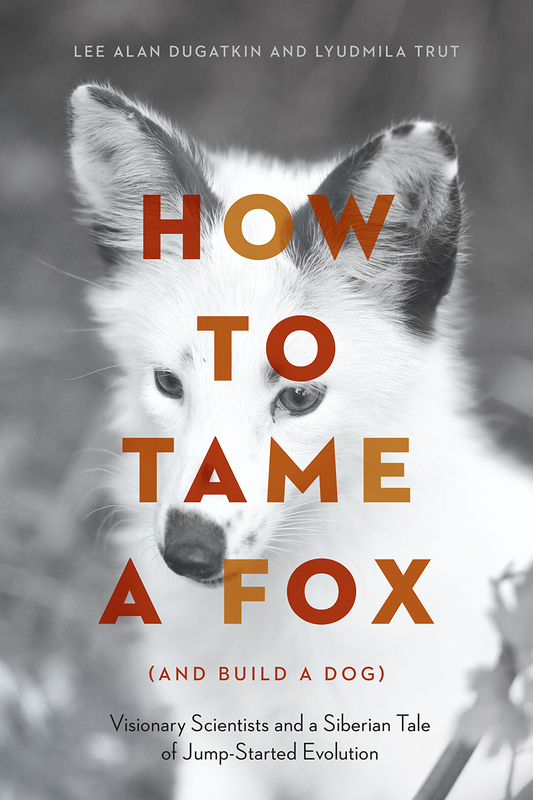 How to Tame a Fox (and Build a Dog), Lee Alan Dugatkin and Lyudmila Trut. Featured image: A Russian domesticated red fox, Kayfedewa, Wikimedia Commons.